In this section, you’ll find a variety of Filipino martial arts weapons including Filipino weapons of war. There are numerous diverse dialects in the country, and we’ve selected the most common terms for these weapons. This is the rarest among FMA weapons. The phrase “A weapon is just the extension of the arm” is true when referring to FMA. Countless Filipino martial arts are entirely empty-hand fighting arts, like Pananjakman, Panantukan, Buno and Dumog whereas weapon-based arts like Eskrima and Arnis frequently identify the empty-hand as part of their technique and is often called “Pangamot”. When talking about the empty hand technique, this doesn’t just limit the use of the open palm or fist, as every natural body weapon is utilized in the FMA. The feet, shins, knees, hands, forearms, elbows, shoulders and head are all used. In the unusual Kino-mutai, biting is a specialty. It is perhaps the most misinterpreted facet of the FMA and continues to be the most exciting to study. 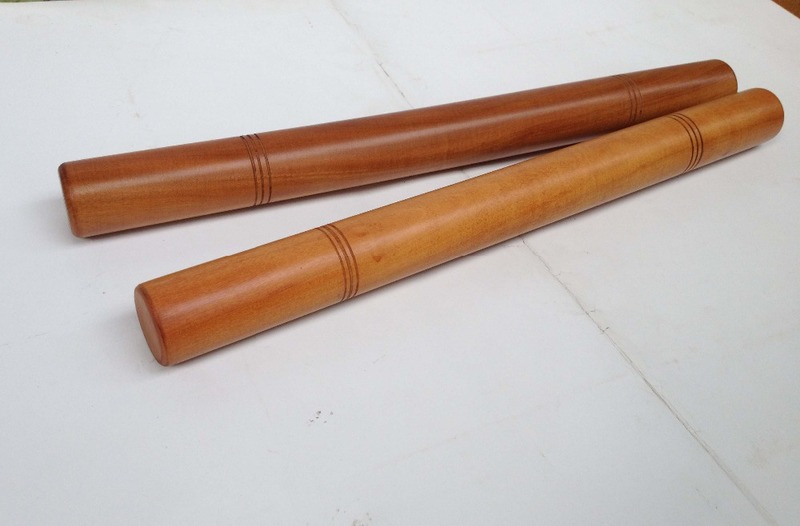 In Eskrima, the most fundamental and widespread weapon is the “yantok.” They are normally made from rattan, a low-cost stem of a Southeast Asian plant. Durable and hard yet lightweight, it only tears up under the most horrible abuse and won’t splinter like the wood, thus, making it a safe training instrument. Also known as palm sticks or Tabak Malii. Short sticks training is done in twos – that is, the trainee grips one in every hand, at the center portion of the stick. By tradition, the weapons were constructed from steel, which includes a ring to put the finger(s), and the end portions were sharp and serrated, and occasionally include bladed edges intended for slashing or thrusting. The sticks are utilized in thrusting and hooking movements to lock or disarm armed/unarmed opponents. 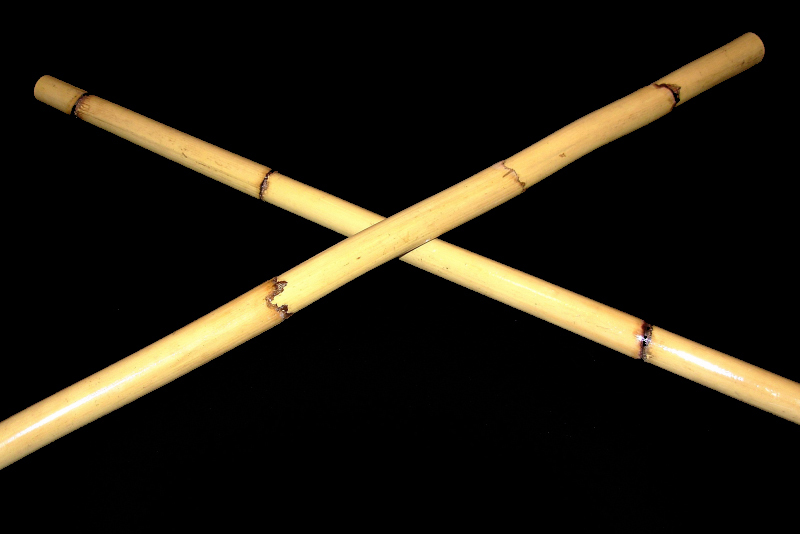 This is the staple of numerous Arnis/Eskrima techniques, while in a few (for example, Balintawak), it is the main weapon. In the country, it is known as Olisi (Cebuano) or as Baston (Visayan). 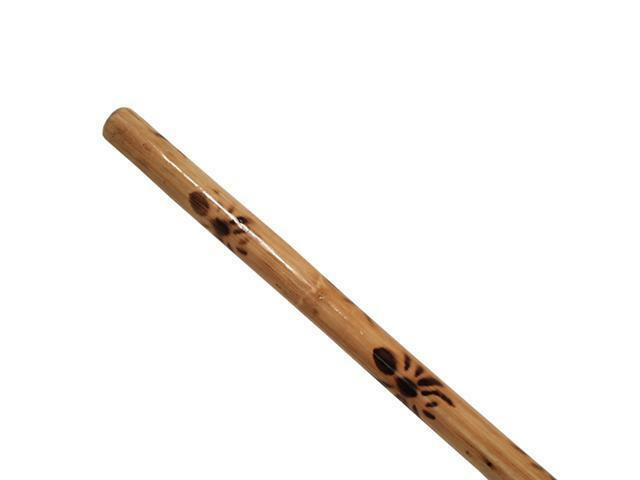 The stick is constructed from rattan, as well as from other dense hardwoods, like Kamagong or Yakal. The most prominent and perhaps the first proof of its use is the Mactan battle with Moro warriors who were armed with fire-hardened sticks. It is essentially a training instrument and can be utilized for blocking, thrusting, slashing, locking, hooking, disarming, choking, grappling and takedowns. It can be gripped in hand (like in Escrima de Avanico) or in both hands (like in Escrima de Llave). They can be utilized in the same way as the single stick. They can also build up all the traits that a single stick can do. On the other hand, double stick training can help the trainee learn the empty-hand art of Eskrima and Arnis. One particular double stick style which the Pampangueno tribe developed is called Sinawali which requires stick weaving in complicated patterns. This word is derived from “Sawali,” the bamboo-rush weave pattern which the natives utilize for formatting and walling. The Double sticks, especially in sparring, develop body movement, footwork, and also instruct imperative empty-hand applications for in-fighting and sparring. Double stick movements are interchangeable with dagger and stick, also empty-hand and stick exercises. Also called as staff, is another weapon uncommonly associated with FMA. The stick movements sometimes called “amara” are similar to the single stick. Slashes, hooks, figure eights, and thrusts are all utilized in the same way, other than using both hands. Training in staff or long stick develops certain traits for empty-hand kick defences, as well as knee locks and takedowns. The long stick is gripped with both hands, palms up, palms down, or a combo of both. By tradition, the staff was simply a training instrument for the spear (Karasaik or Bangkaw). The Panabas is also worth mentioning here because it belongs to this category. It is a halberd-like weapon, with a rounded blade fixed to a long staff. The blade’s cutting edge is on the inner portion of the curve, such as a scythe, and the Panabas’ length varies from 3-9 feet. Instead of guns, Filipinos maintain the culture of blades as the primary tool. Today, numerous locals utilize blades as a tool to cut fruits, grass, and meat. Because of their accessibility blades became the secondary weapons of Esrkima. This has loads of uses, normally thrusting, hooking and slashing. It can be utilized defensively or offensively in different ways against a variety of weapons. It can be utilized as an extra weapon to the sword or stick to disarm or rake the weapon of the opponents, or as a close-quarter shoving weapon. It can be gripped pointing down or pointing up in either rear or front hands. The term “Balaraw” or simply “Baraw” is frequently utilized in the Visayas, referring to a dagger. 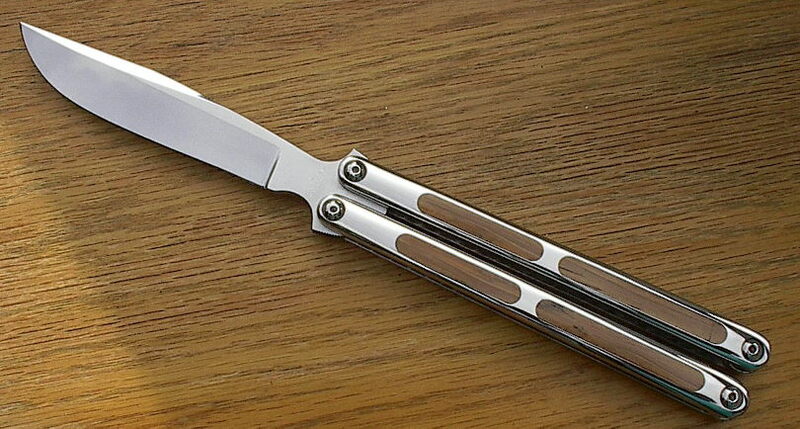 The Balisong is a strange weapon as well. To the inexperienced, it is more frequently known as the “butterfly knife.” The term means “broken horn,” and came from the terms “bali” (to break) and “sung” (horn). Many traditional balisongs were carved from animal horns. Its origin is the town Balisong in Batangas, Philippines. It isn’t clear whether the town derived its name from the weapon or if the weapon derived its name from the town. It can be utilized in many ways offensively, either through raking using the rear dagger and thrusting using the front dagger or through stick twirling so as to suit the daggers. It has a few parallels with dagger and stick, as well as the multiple combos of stances and grips provide the trainee with an excess of alternatives in a fight situation. Empty-hand defence against an attacker armed with double daggers is certainly hard, if not impossible. The Kris’ shape makes it unique from other single-edged and double-edged daggers. It has a double-edged blade, and is undulating, permitting easy flow of blood from a wound. By tradition, the dagger was sacrificial, and though it was utilized in the south of Philippines, its origin is thought to be Malay. In the country, there are loads of different types of Kris; wherein every region produces a Kris with different wave numbers in the blade. The Sword is still taught to trainees of many various Eskrima and Arnis styles. Styles like Kali Ilustrisimo are entirely blade based, and their trainees prepare greatly in bladed weapons. Drills including swords are frequently medium-long range and can highlight on sliding to a rival’s hand or controlling a rival’s bladed weapon. As a thrust and cut weapon, it provides trainees with the certain insight into the details behind numerous stick drills. This is perhaps one of the most well-known Filipino weapons because this weapon hit the valiant explorer Ferdinand Magellan a moment before his death. It is known for its branched handle representing the wide crocodile jaw. Kampilan is a single-edged weapon, with a cutting edge about thirty inches long, with a tiny flared spikelet close to the tip. It was popularized by the Maguindanao and Iranun warriors and pirates of Mindanao and is the longest killing tool the Moros utilized. It can be gripped with one or both hands. Another Moro weapon, the Barong, though the term “Barong” is a Tagalog word for a leaf-shaped blade. The Taganak and Tausugs from Tutle Island preferred it in close fighting. The blade is about fifteen inches long and almost three inches wide at the center. It is a double-edged weapon. The bolo or itak is a common Filipino Martial Arts weapon. The Sundang, based on the Kris, is doubled edged as well. It is a bit longer than the Barong, having a 20-inch blade length. 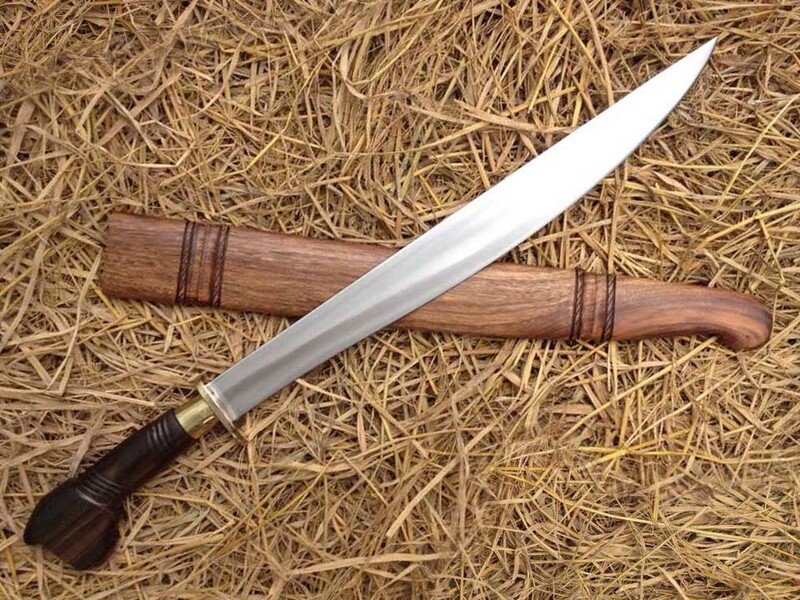 The term “Sundang” is Visayan for whatever huge single or double-edged weapon. The PInuti, a Visayan weapon, is a weapon of war preferred by Visayan warriors. Its design is simple, with a single blade only. 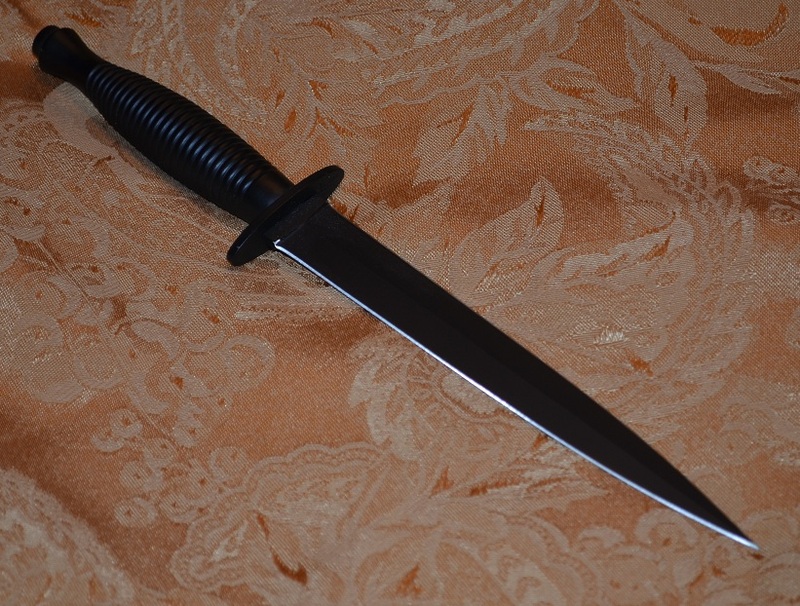 The Bolo, another Visayan weapon, is larger, machete-like, although still single-edged. In Luzon, the Kris and Bolo’s designs have caused to modify weapons which both have the characteristics of the Kris and Bolo. Another term is Tabak which isn’t frequently utilized as before is a Tagalog word for curved or cutlass sword. It is perfect for close-range fighting. 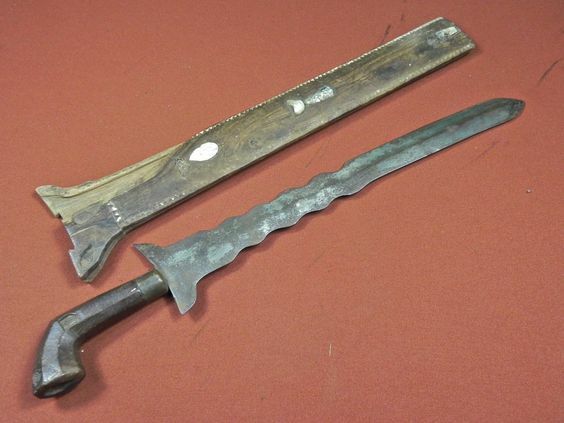 The Golok is, in fact, a machete, with a huge, wide cutting edge that looks like a butcher knife, with a single blade. The term “Golok” is, in fact, the Indonesian term for Machete, and the weapon is said to have originated from Java, an island. The Spaniards brought numerous stuff to the country but did not leave several things behind. Of the few ongoing martial and cultural influences, the conquistadors left with the Filipino people, the sword, and dagger fighting style was one of them, which was so popular in Spanish fencing. This combo uses the flattering qualities of a short-thrusting weapon with a more extensive cutting weapon. By tradition, the combo is known as “Espada y Daga.” The Filipinos improved the Spanish fencing techniques to suit better their combat styles, and developed their medium- and long-range sword and dagger fighting. These days, stick and dagger (Olisi y Baraw) are utilized as a training weapon and takes in tie-ups, takedowns, and locks with both tools, methods which enable the use of a blade. Flexible weapons flourish in the Philippine archipelago too, though their use isn’t as well-liked as the weapons abovementioned. Certain techniques, like Pananandata, have a broad display of flexible weapon styles. Clearly, the garotte is a nominee in this category. However, not many techniques openly practice such methods. On the other hand, flexible weapons are vital and can be utilized to initiate tie-ups, locks, strangles and chokes with many weapons on armed/unarmed opponents. Another weapon, the Cadena also belongs to this section, since it shares the qualities of both flexible and sticks weapons. The projectile weapons are vast and diverse. Blowguns, bows, and slingshots were all frequent tools, particularly for the Moros. Their use was less frequent with the influx of the heavily-armoured Spanish conquistadors even though they were still utilized for tribal and hunting warfare. Projectile weapons lack many techniques of Eskrima and Arnis de Mano and are possibly one of the sections of the arts that ought to be re-examined.